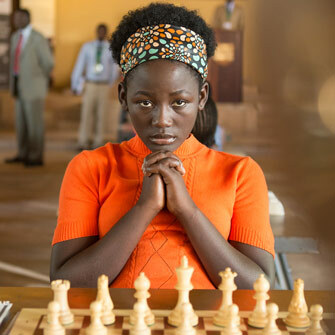 The Jurkowitz Center for Community Engagement presents Queen of Katwe, the third film in their “Movies That Matter with Hal Conklin” Film Series, on Friday, February 1, at 7:00 pm at The Granada Theatre (1214 State St). The Jurkowitz Center is pleased to partner with community organizations Turn the Page Uganda and Laguna Blanca School for the screening of this next film in the beloved “Movies that Matter” series, which features films that teach about forgiveness, compassion, and grace. Queen of Kawte follows the story of 10-year-old Phiona (Madina Nalwanga) and her family, living in the slum of Katwe in Kampala, Uganda. A local sports ministry head introduces her to the game of chess and her life suddenly changes. With a great deal of concentration and determination, Phiona strives to use her extraordinary potential to escape a life of poverty and save her family from suffering. 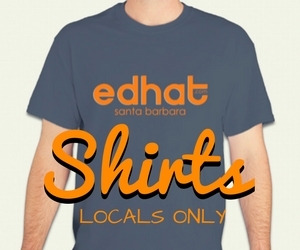 Tickets are either $10 or $20 and available through the Granada Theatre’s Box Office or by calling (805) 899-2222.